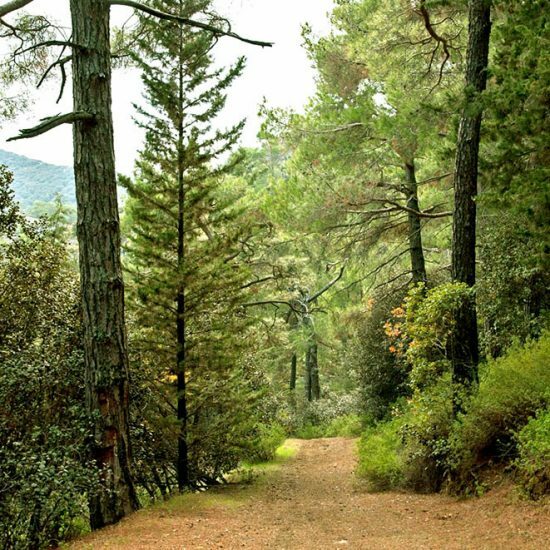 The flora of Cyprus and particularly of the Pafos region in spring is the botanist’s paradise and an exceptional challenge for those who love photography or painting. There are almost 2,000 wildflowers in Cyprus, of which 140 are endemic. Considering that the total number of wildflowers in Europe and the Mediterranean is no more than 2900, Cyprus is a floral and herbal paradise. A great number of the island’s flowering plants have also pharmaceutical properties with widespread uses, while a number of herbal products and essential oils are processed and sold locally in the beautiful and picturesque small villages. The rich mythology associated with Cyprus is closely interwoven with its flora, especially in the tales featuring Aphrodite. Flora is also depicted in many beautiful ancient Roman mosaic floors in Pafos protected by Unesco. “Similli”/Chrysanthemum coronarium – yellow wild daisies. “Anemones” /Anemone coronaria/Crown or poppy anemone – in a variety of colors. “Kyklamina” – Cyclamen Cyprium – Wild Cyclamens in white and pink. 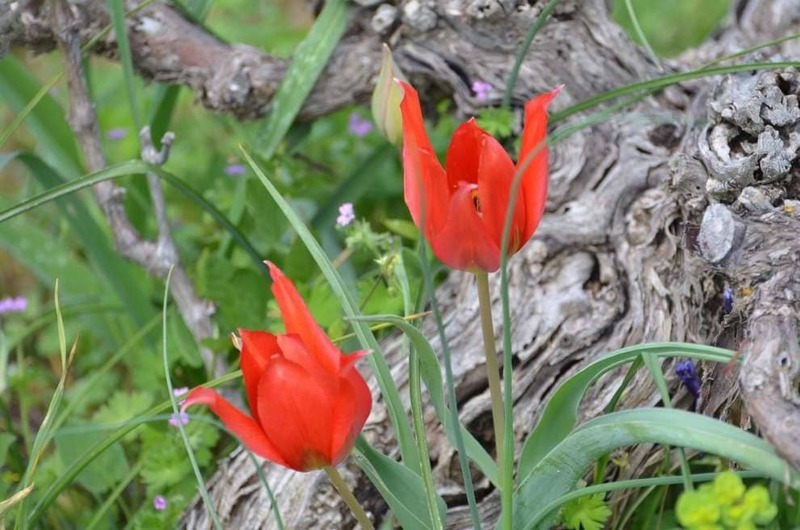 “Toulipes” – Rare tulips such as the Wild red tulip (Tulipa Cypria) and the wild Red “Sun-Eyed-Tulip”. “Lapsana” /Sinapsis alba/Charlock – with rows of small yellow flowers. Nowadays, a number of festivals all over Cyprus are held in spring to celebrate the season and the beauty of its wildflowers. In Pafos, the most popular festival is the Tulip festival in Polemi village, where the unique Red “Sun-Eyed-Tulip” grows. With Red tulips peppered across the lush green spring landscape, the Polemi Tulip Festival…officially sets spring to life and usually occurs in the last week of March and the first week of April. This festival is particularly interesting and important for a good reason: a tulip festival is certainly not something that one would expect in Cyprus! This year the Polemi Tulip Festival will be held on Sunday, 31st March, 2019 starting at 11.30am at the main village square. Visitors will have the opportunity to enjoy a rich artistic program, a tulip exhibition, local stalls, dance & music and wonderful walks in the beautiful nature of the area. Feel, See Smell, Live… Enjoy spring, Enjoy Pafos!!! 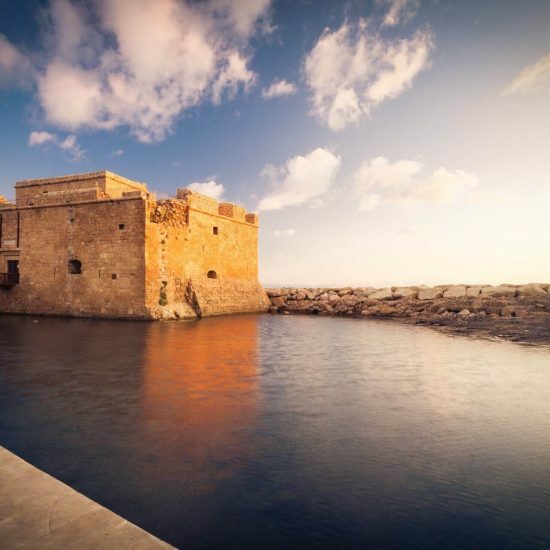 Previous post Pafos has the Lead in Sales to Overseas Property Buyers!